1.Go to Automation Campaign from left menu. 2.Select New Campaign, fill the initial entries. Here you can create the new campaign of your choice and can send the type of campaign accordingly. 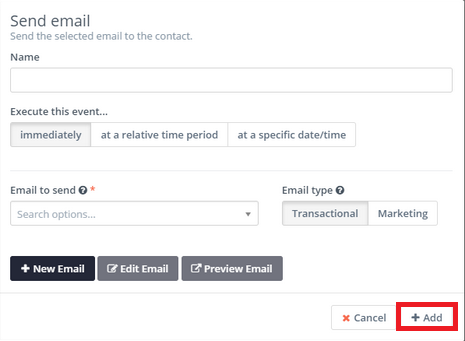 A new pop-up box will appear, here fill all the entries, and you can select the respective “Email Type” such as “Marketing or Transactional Email”.